Lockheed L-1049 Super Constellation is a national icon. It was built in response to the Douglas DC-6 which was a work horse of the 1950s. At the time airlines all around the world started to buy up the Super Constellation and put them into service for their customers. Notable airlines like Eastern, TWA, Air France, KLM, Trans-Canada Air Lines, QANTAS, Air India, Pakistan International Airlines, Avianca, Iberia, Línea Aeropostal Venezolana and Cubana de Aviación all put them into service and made the aircraft one of the most popular of the era. The aircraft was iconic for its shape with its long skinny wheels that prop the plane up high off the ground. The four large propeller engines needed the clearance for their large blades to have enough clearance. At its time this feature alone made the aircraft the most recognizable at the airport. The plane gained such popularity that it was bought up by the United States Air Force and even the Navy for military conversions. They played a role during the Cold War as transport planes, AWACS, and early warning aircraft. 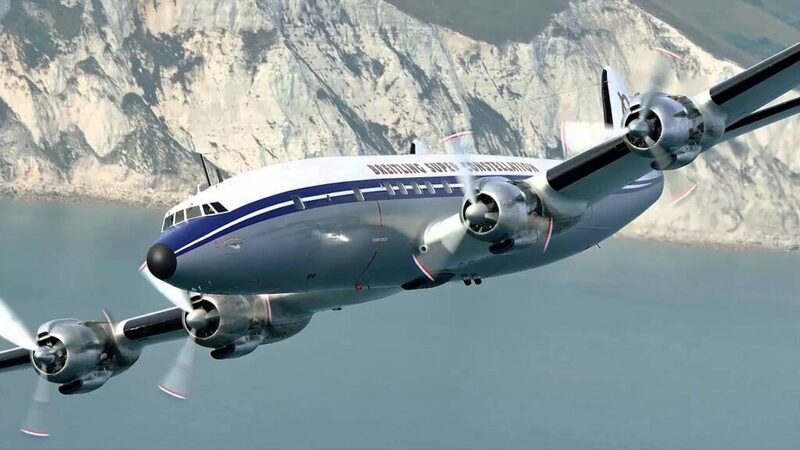 The Lockheed Super Constellation was a work horse and one of the most beautiful planes in the sky, it’s amazing that the plane still lives on today mostly as an entertainment piece but still as beautiful as the day it rolled out of the factory.